These are genuine bobcat tails made into keychains. Bobcats are differentiated from Canada lynx by their shorter ear tufts and longer tails with banding and white under tip. 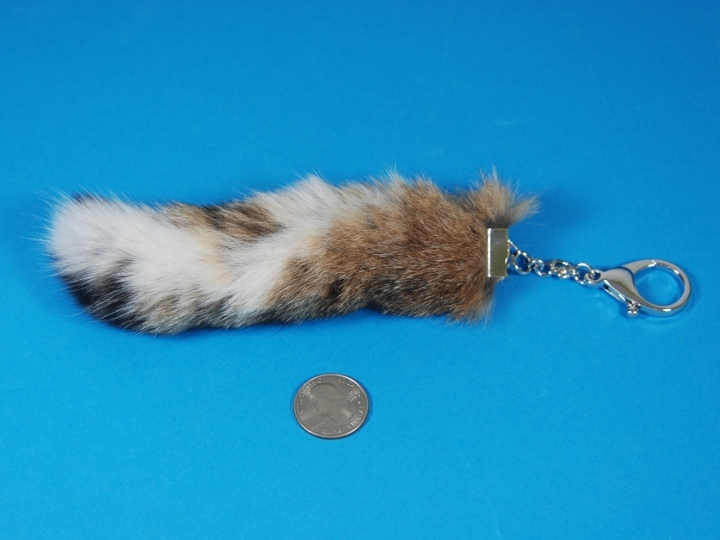 These tails are very fluffy and light, three of which weighed about 50 g with the keychain heads. 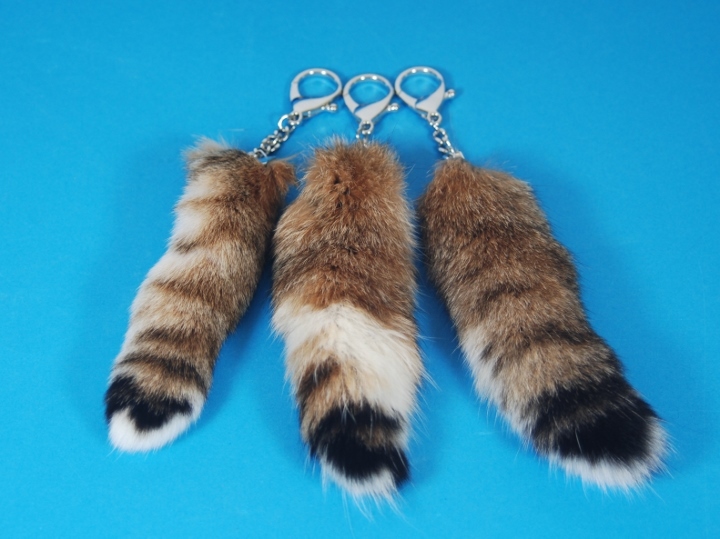 They range between 13 to 15 cm long and about 5 cm wide.